Why is import to connect with System Scheduler? First of all inside Extension plugin there are processes that relay on running task in backend. For example Sync process for Google Calendar events or if you need to send remainder SMS notification. All those things need background task to run. If you haven’t connected with system scheduler on your hosting then those task relay on visitors to your site. With each visit WP do additional work of serving those tasks beside showing content. But what happens if there are no visits for hole hour and for example you need to send SMS reminder. Well that SMS will be delayed until someone trigger visit to your site. That is most important reason why you should connect your site with System Scheduler. How to connect with system scheduler? For editing there is tool called File manager. Find it inside page and open it. Inside File Manager find wp-config.php file, click on Edit and add line above. You will need to find Icon called Cron Jobs and open it. Keep in mind that some hosting providers can block cron execution interval that is less then 15 minutes so if you set value lower then that it will be just ignored! In those cases put 15 minutes as interval inside Extension plugin. What to do in case that you don’t have Cron on your hosting? In case that you don’t have Cron on your hosting you can still try to simulate cron execution. 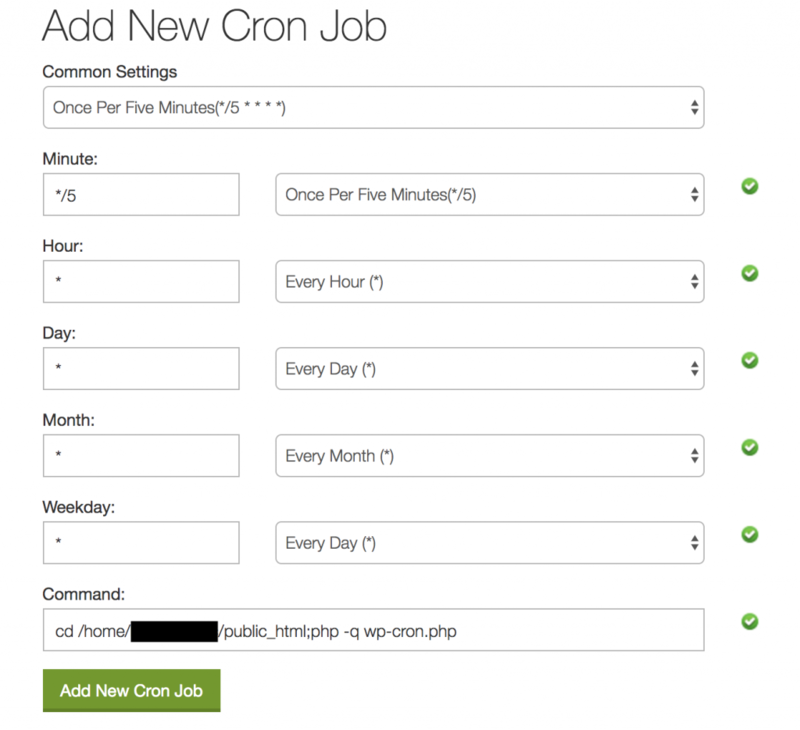 There is site cron-job.org there you can set ping service that should call your <domain>/wp-cron.php file every 5 minutes. In that case you are not dependent on visitors to trigger cron but you will still have time limitation on Cron execution that is in most cases 30 seconds.